Image meta data can contain some information which image uploader wouldn't like to share with broad audience. 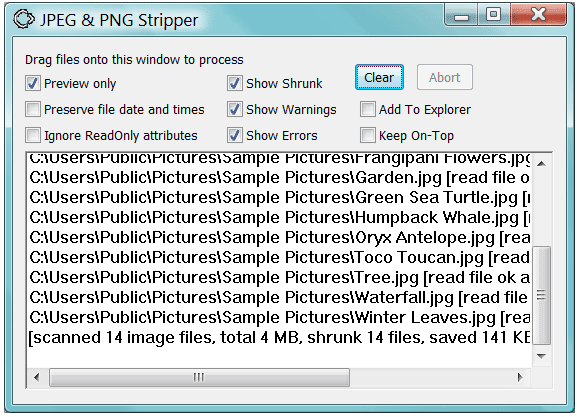 Luckily, there is a great tool which strips all meta data, also EXIF data. It is working with JPG and PNG image formats. JPEG & PNG Stripper works just awesome! It provides super easy and efficient meta removal. Need bulk image cleaning? It's piece of cake with this software. Just select your images and drag&drop in application window. Plus, you'll get old school software feeling, back in a days when software did it's purpose, nothing more or less.